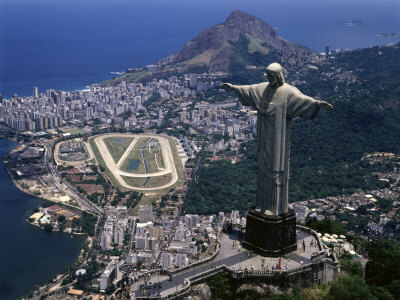 Christ The Redeemer Statue Rio De Janeiro, Brazil! Salvation is CONDITIONAL upon confessing and repenting of all sin! Repenting means never doing it again! There is so MUCH to LEARN, about Salvation! Let God’s Holy Word teach you, wash you, cleanse you! It’s the ONLY Way TO SALVATION! It’s the ONLY Way TO GOD!! Read, ponder, our Statement of Faith. Read, ponder, The King James or New King James Bible. Devil Doctrines! No where does the Bible have the word “unconditional”. We challenge EVERYONE to try to find that Devil word “unconditional”. Then Repent of human doctrine and Devil doctrine of LIES! Only a small faction who want NO accountability support that LIE. God does NOT love us unconditionally!!! How many times Proven?! Read your King James Bible for yourself. Study! God commands it!! Because Heresy is SIN which puts you in Hell! YOU are ACCOUNTABLE! No one and Nothing loves “unconditionally”. Get a grip, People! Over 500 times God says “if”. Conditional!!! Understand?! This grave error of believing the LIE of unconditional love leads to more Heresy! your sins past, present, and future, are already forgiven. (All untrue). OSAS is Heresy. OSAS is SIN. Do not be deceived! Believing in OSAS, or Eternal Security, is a ticket to Hell! All major Christian, Bible Believing Denominations reject OSAS. Be warned: Do not go the slippery slope of not repenting! Be warned: “Jesus Only” is another Heresy and cult and Sin. Be warned: You alone must give account, when you stand before Jesus. Example: Consuming any amount of alcohol is Sin, the Bible says. Therefore, I throw it all away, and never consume anything with alcohol in it, ever again. Then tell others to do the same. That is confessing/repenting. for you to obey your Doctor and receive treatment. It is NOT OK to use these as an addiction, or “release”, or “high”. You know the difference, and so does God. Make sure you pray every day for Healing. It would be unwise for you to “preach” Jesus in this case. Stick to the basics and be Holy. OK, John?! Statement of Faith #9, 13. You are guided by your belly, you are guided by your brain. You Should be Guided by your Bible!!! Let me clearly answer this age old question that most churches are afraid to answer. YES, the Bible says consuming ANY amount of alcohol is Sin. The Bible says. Not me. Not my “interpretation”. The Bible says. If you cannot say “NO” to alcohol, you cannot say “YES” to Jesus! Now you know, and are responsible to change YOUR ways. Don’t play weak. Don’t make excuses. Don’t Lie! God sees through you. REPENT NOW! IN JESUS MIGHTY NAME!! 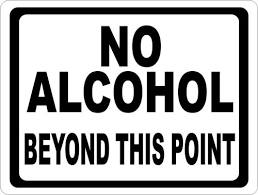 you will naturally shun alcohol, tobacco, drugs, fornication. (Run from it and don’t look back – even in thought). Any amount of alcohol is NOT an edifying part of ANY relationship. Just look at the statistics. How many people are injured or die in alcohol related crime or accidents? How many suicides, rapes, spousal abuse? How many drunk drivers? And on and on. Any amount of alcohol – the Devil’s Drink – is Sin. Wine, beer, Liquor, of any amount % of alcohol, is Sin. Forsake it. Run from it. “Who hath woe? who hath sorrow? who hath contentions? who hath babbling? who hath wounds without cause? who hath redness of eyes? I personally know Tens of Thousands of people who have forsaken anything alcoholic, or even the simulated taste. Without question, alcoholic communion wine is against God’s Holy Word. When Jesus Christ returns, we shall SEE the TRUTH! Do not wait/be late! REPENT of all sin and evil and wickedness and anything displeasing God! Congratulations! Contact us if you have prayed this prayer.